Click the play button on the above video to watch over 1 hour of hard-hitting online sales and conversion training. This includes my detailed breakdown of $10,000 weeks across many years. * How to add them using Clickfunnels, Optimize Press, Thrive themes, Dreamweaver, Instapages, Kompozer or other page creation tools you might be using. * EXACT secrets and elements from my $10,000 weeks. Have you gotten emails with cowntdown timers in them? Content republishing — It’s how bloggers get started and score big results! Today we take a SUPER DEEP dive into content marketing. 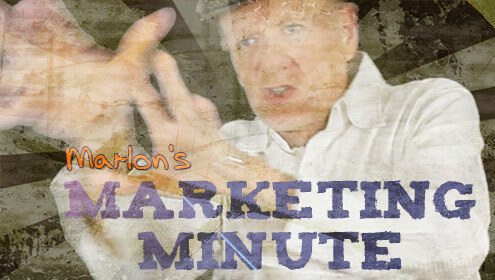 “Marlon, how can I find my audience, get my word out bigtime AND build my list? Via my deep dive research, I uncovered businesses and individuals starting from scratch and building big audiences, lists and readers using guest blogging, republishing and content syndication. How to find your audience through guest blogging, and when to do it vs. republishing and syndication. Where do I find other “deep dive” articles about content marketing? How does content marketing help me build a list? Do I have to write every day? Or how much or little do I have to write? What’s the surprising news about getting 1,000 visitors from Linked In per article using a 10-minute procedure? What about the Google duplicate content penalty? What if I built it and they DIDN’T come? What then? How do I get people to my blog when I have no list, and no visitors to build from? Can you give me examples of emails I send to get my content republished? Why people screw up on guest blogging and republishing and fail to get subscribers. How to easily fix it. How to get guest posts when NO ONE knows you! How to save $1,004 in 10 minutes. And do it over and over. I have a lot of exciting information to share. So let’s dive right in.